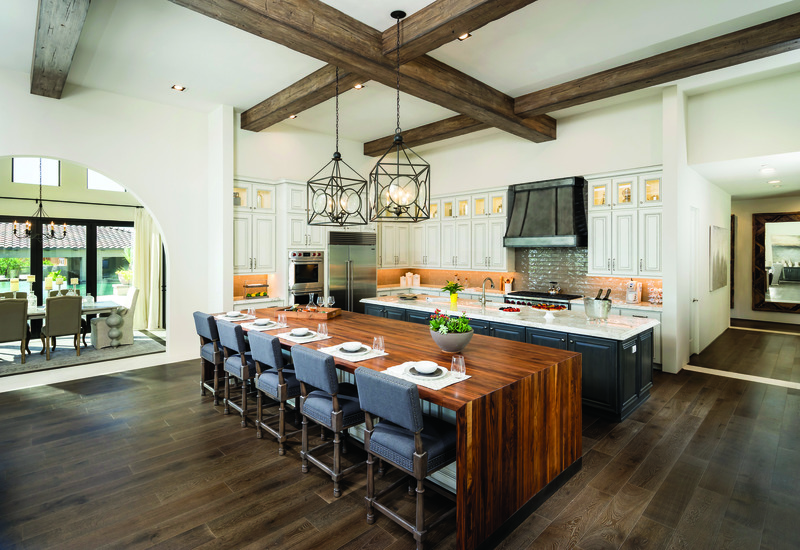 Beyond being the place where meals are made, the kitchen is the center of activity, from homework and conversation to neighborhood get-togethers and celebrations. 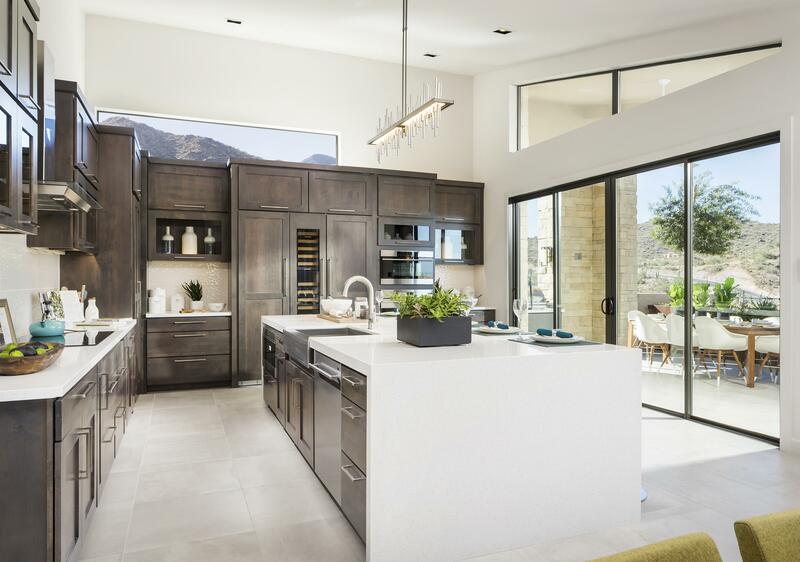 Today’s kitchens are extensions of our lifestyles, which are increasingly varied and busy. To accommodate our growing needs, builders, designers, and manufacturers are creating exciting features that are functional and stylish. 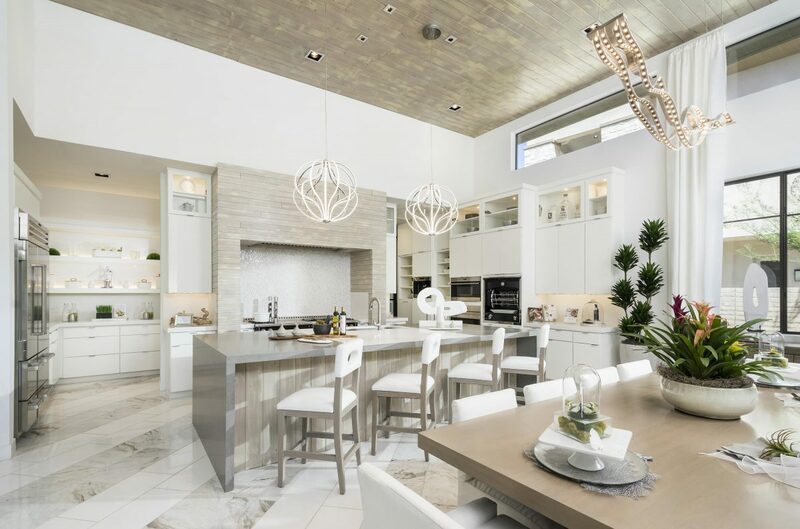 Islands are a mainstay of the kitchen and have transformed from a basic countertop for food prep to a multipurpose space that can be personalized to include space for dining, storage, wine racks, sinks, cooktops, warming drawers, and other appliances. Islands are so versatile and functional, some larger kitchens have two. The need for more kitchen storage has resulted in some clever innovations, like pull-out pantries, cookie sheet drawers, and pull-out shelves for easy access to pots and pans. Since the kitchen is a magnet for kids, finding ways to keep homework supplies and crafts within arms’ reach, but at a distance from your food storage, is essential. In the kitchen, messy hands and full arms are more norm than not, making hands-free innovations a welcome relief. For example, our recent blog, New Tech in Your Kitchen Featuring Jenn-Air, features information about smart dishwashers, ovens and refrigerators that respond to voice commands. You can find these conveniences in other everyday innovations. Many manufacturers are jumping on the hands-free bandwagon with items like paper-towel dispensers, touchless automatic trash cans and motion-automated faucets. Amazon Alexa, Google Assist and Apple’s Watch and Siri are even coming to the rescue through Wi-Fi-connected appliances. Enclave at Yorba Linda, Capistrano. Pets love the kitchen and can typically be found underfoot when it’s time to prepare a meal. To keep them close and happy, “pet nooks” with room for a bed are being built into islands along with pull-out pet bowls and food storage. 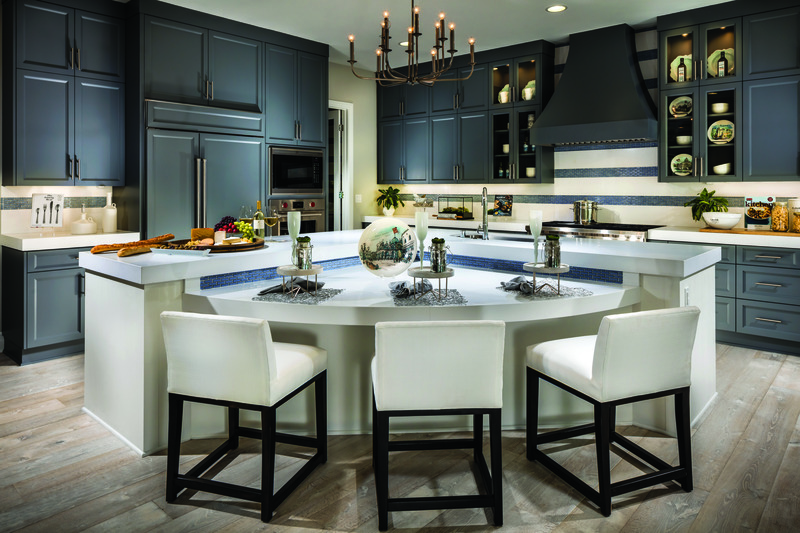 For more beautiful kitchen design ideas, check out Toll Brothers’ Kitchen Pinterest board or visit Tollbrothers.com.